Just picked up a bunch of brand new makeup goodies from Taiwan and Hong Kong, courtesy of a friend and my aunt! From Burberry in Hong Kong, I got the Sheer Foundation in Trench No. 4 (HK$390) and Lip Cover Soft Satin Lipstick in Hibiscus. The foundation costs HK$390 (S$68.40) while the lipstick costs HK$245 (S$43). 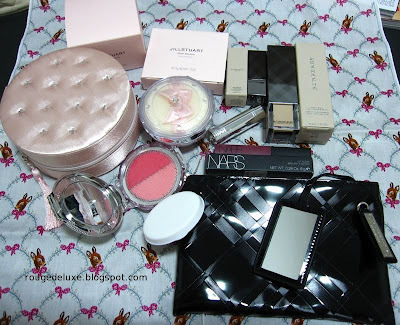 The prices compare quite well with the US, where the foundation is US$52 (S$69) and the lipsticks are US$30 (about S$39.65), excluding sales/state taxes. 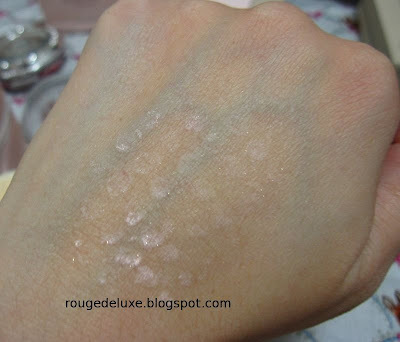 I was able to pick out my foundation shade thanks to this incredibly helpful Cafemakeup.com post which had excellent swatches of all the shades. The metal and glass packaging feels weighty and luxurious. 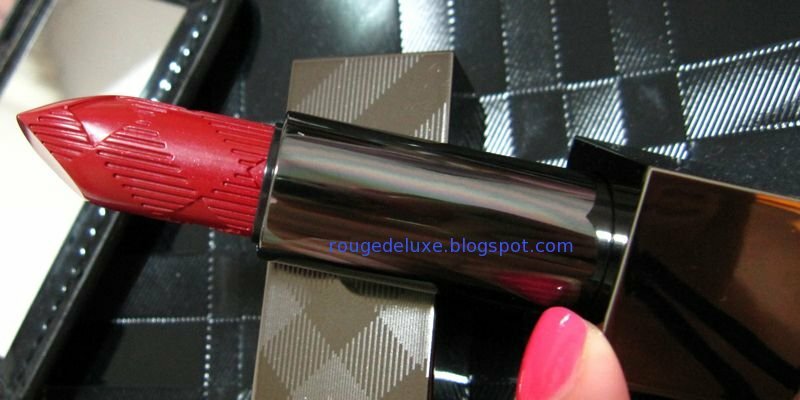 The lipstick has a unique magnetic closure which makes opening and closing the tube an easy snap. The shade is a more intense red than it appears in these pics. I decided on this shade by looking at the swatches on Temptalia. I also received this glossy zip pouch with an attached mirror. From Taiwan, I picked up the new NARS Strawberry Fields lipgloss NT$800 from the fall collection and the new Jill Stuart Loose Powder N #3 Shimmer and Blush Blossom #3 Lady Amaryllis. Jill Stuart products are much cheaper in Taiwan compared to Japan. The powder was NT$1350 (S$59) while the Blush Blossom was NT$1300 (S$56.60). In Japan, both products cost 4725yen (S$74.20) each. Compared to the previous packaging, the main difference is that the new tub is easier to store as the lid is much flatter now. The new pot also has larger holes in the plastic sifter. The sifter is firmly set in place and won't fall out unless you pry it loose. The cotton puff is very soft and fluffy. The bottom of the pot remained pretty much the same. The powder does have a strong floral scent in the pot but when applied on my hand, I couldn't detect the scent. The texture is still the same: ultra fine, silky with a dreamy, lightweight finish. 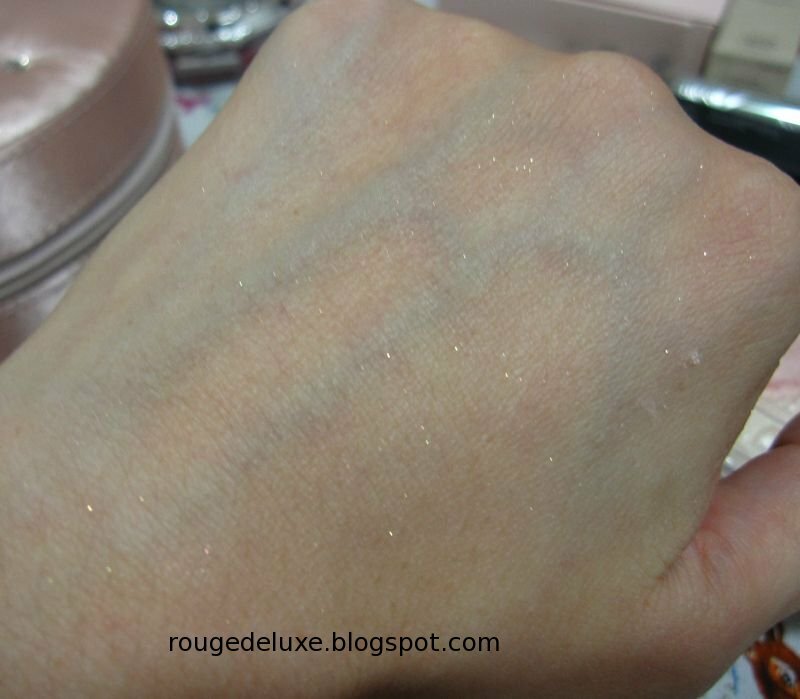 After the powder has been sheered out, the micro sparkles are visible but the overall effect is still quite subtle as the sparkles are very tiny. The ingredients list includes talc, sweet almond oil, rosa canina fruit extract, methylparaben and petrolatum. Here's the ingredients list for the Blush Blossom, which is also talc-based and has mineral oil and methylparaben. 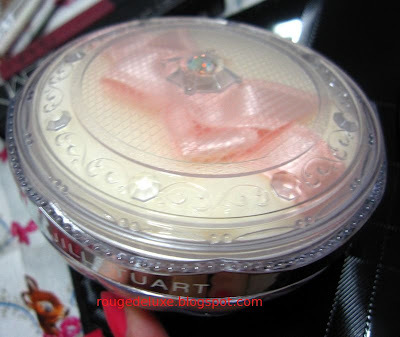 I also received this pretty cosmetics case with my Jill Stuart purchase, which was a nice surprise! Great haul.. but I am actually attracted by the pink finger in the 3rd photo.. what colour is that? It's gorgeous! Very nice! I didn't know hk has Burberry! Cool! JS looks nice! nice haul! 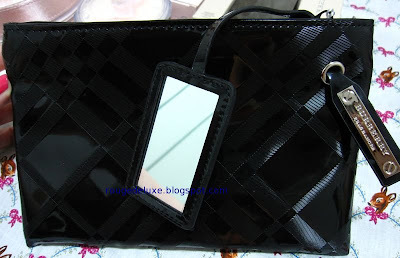 I'm looking forward to checking out Burberry when I go to HK in nov.. any idea where the burberry counter is? Burberry makeup is available at Faces in Tsim Sha Tsui. 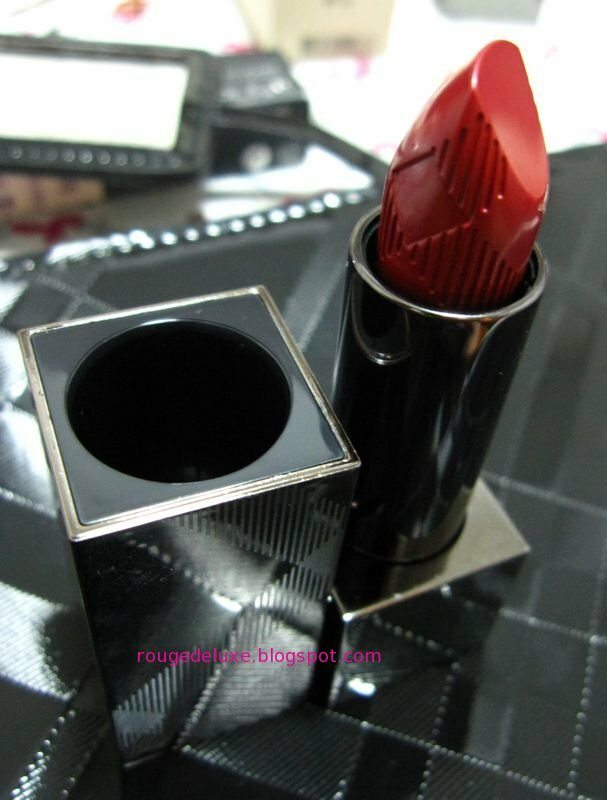 Oh, I really want to try the Burberry lipsticks but they don't carry them at Holt Renfrew here... and the Canadian prices are jacked up a LOT. 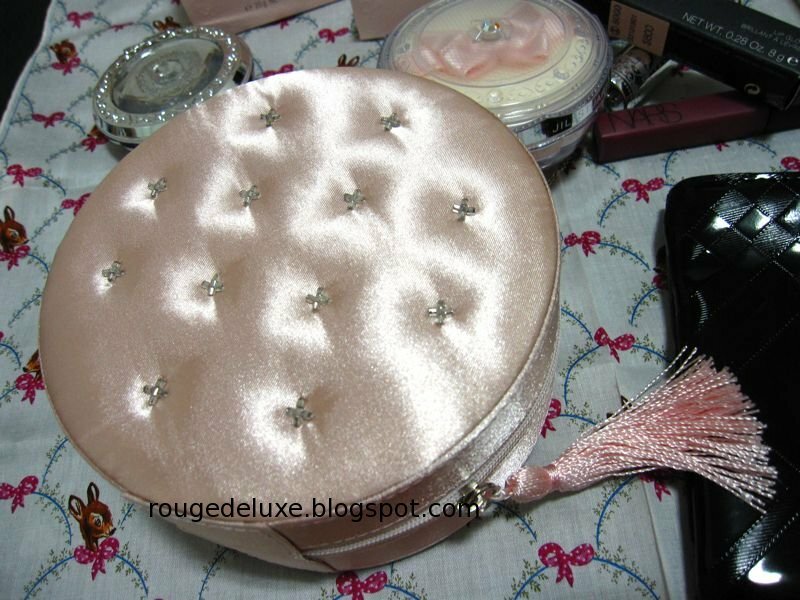 The make-up bag you got is cute too! I'm not really interested in loose powders in general, but I'd love to get a JS loose setting powder.... it'd look so cute on my desk/vanity! Oh.. love shade of pink by Chanel.. Thanks for your reply! 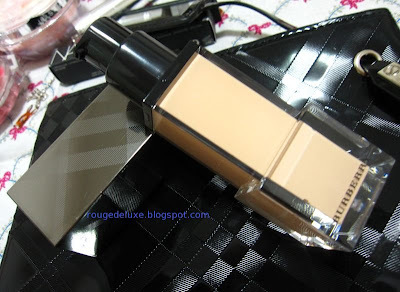 hi haru, do review on the burberry foundation! i'm going hk end of the year and might just get it if its good! 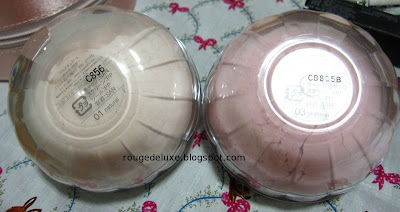 The new Loose Powder N #3 Shimmer is not my first JS powder. 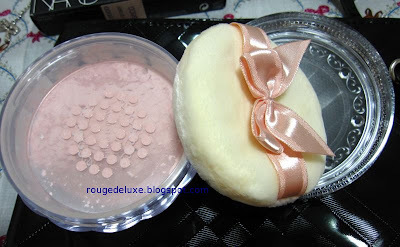 I also have the original version of the loose powder which is featured in this post. 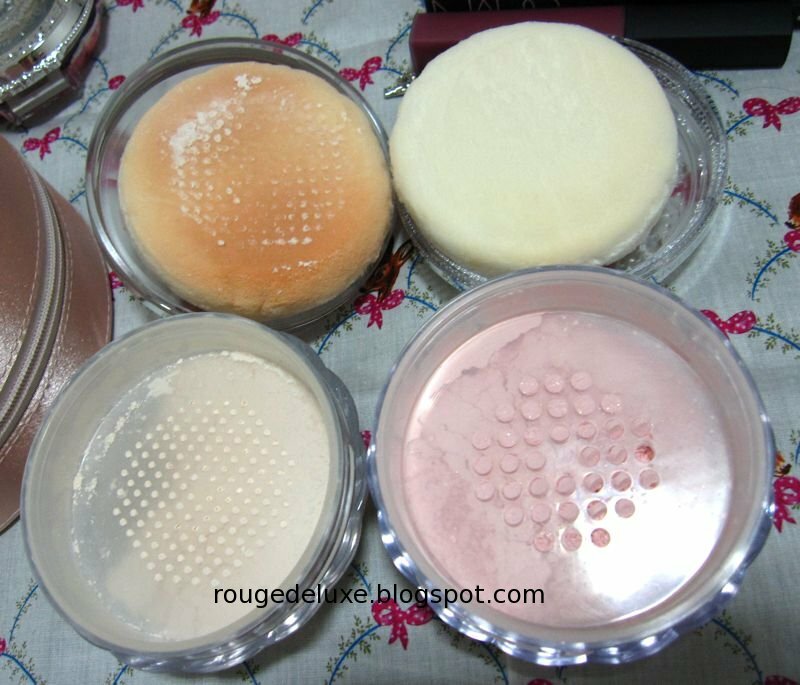 so compare to paul and joe and jill Stuart Loose Powder, which one is better? Or their press powder? can you do a comparing post of these 2 brands of loose powder? or just comment it here ^^ i don't know which one is better? I prefer the Jill Stuart loose powder as it gives a more dreamy and polished finish compared to the Paul & Joe loose powder. But in terms of oil control, both are not that good. hi dear, i just returned from HK and also bought burberry liquid foundation trench #04. however, the free pouch was only given with purchase of a liquid foundtion, lipstick and eye shadow. there's another bigger pouch as GWP and it is in fabric, however, a purchase of more products is required with some colors being fixed. Hi Haru, as I wear powder foundation more than liquid foundation, can you do a review on BURBERRY Luminous Compact Foundation Trench No. 04 if possible? I am tempted to buy this due to the chic packaging, but have my misgivings as it's a relatively newcomer for cosmetics. Txs! I don't have that foundation and I do not plan to buy it. You can try looking on Makeupalley's Productville for reviews.